Contra Dance with Too Old to be Controlled and Bob Green, calling – Too Old To Be Controlled is an old-time music band based in Bloomington-Normal, IL. This trio comprised of fiddle, banjo, and guitar is a favorite at local and regional dances. 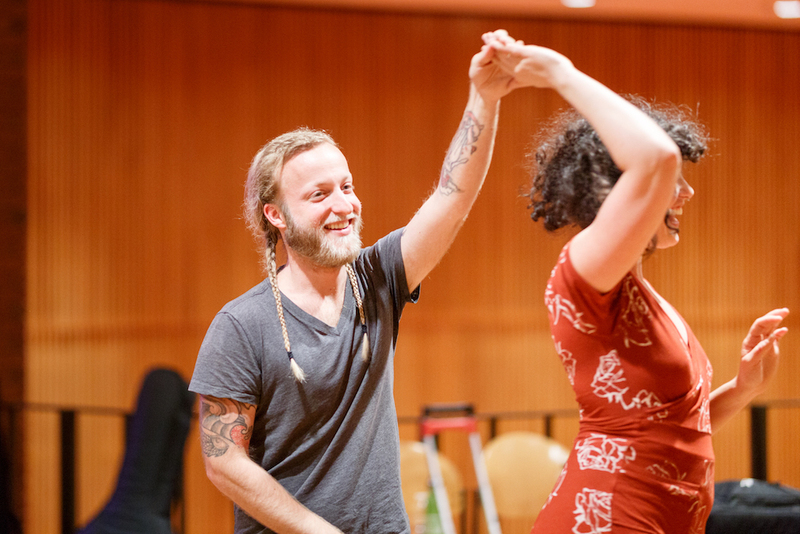 Arrive half-an-hour early (7:30 pm) for a contra dance lesson! Shamrock Academy of Irish Dance (Demonstration) – Students from the Shamrock Academy of Irish Dance will demonstrate this vibrant living art form. Dance Try-Its with Jon Hanson – Jon Hanson will teach and lead simple traditional dances of England, America and Europe, from the last 300 years. The dances will be simple, fully taught before we do each dance, and no dance experience is needed. Jon will start with English Country Dances which where enjoyed by peasants and royalty alike since the 1600s. We might try later versions of these dances which were done in America as Contra dances. We may then also do folk dances from Europe including France, Greece, Eastern Europe, or Scandinavia. Come try easy social dances that have been enjoyed by people around the world for centuries. Swing Dance Workshop, with Paul Kwiat and Sarah Scott – Learn some moves before hitting the floor at the swing dance with the 9th Street Stompers! Swing Dance with the 9th Street Stompers – Come dance to the high energy swing sound of this great band! Rumor has it that members of the Illini Swing Society will be in attendance.